Andover, New Hampshire Fire Department- has received a Federal grant in the amount of $288,728 for 23 - Firefighter Breathing Apparatus. Auburn, New Hampshire- former fire/police station up for sale. CLICK FOR ARTICLE. Belmont, New Hampshire Fire Department- Deputy Chief Sean McCarthy has been named Acting Fire Chief. Belmont and Laconia, New Hampshire Fire Departments to share administrative duties. CLICK FOR ARTICLE. Belmont and Laconia, New Hampshire Fire Departments agree to share Fire Chief. CLICK FOR ARTICLE. Bow, New Hampshire Fire Department- voters approved creating the full time Deputy Chief's position and also the funds to build a new public safety complex. Chester, New Hampshire Fire Department- Fire Chief Richard Antoine will be resigning his position later this week in order to pursue other career interests. Chesterfield, New Hampshire Fire Department- has received a Federal grant in the amount of $ 82,667 for an Air Refill System and Firefighter Turn Out Gear. Derry, New Hampshire Fire Department- hires 3 new firefighters. CLICK FOR ARTICLE. Derry, New Hampshire Fire Department- funds have been approved for a new SUV for code enforcement and public education. CLICK FOR ARTICLE. Derry, New Hampshire Fire Department- town to name street in memory of FF Kyle Jameson. CLICK FOR ARTICLE. Durham, New Hampshire Fire Department- chief returns to duty after fighting cancer. CLICK FOR ARTICLE. Effingham, New Hampshire Fire Department- Fire Chief injured after fire truck rolls over. CLICK FOR ARTICLE. Exeter, New Hampshire Fire Department- has placed into service a 2015 Ford F-550/Duralift Fire Alarm Bucket Truck. Farmington, New Hampshire- voters approved funds for a new public safety building. Francestown, New Hampshire Fire Department- 18 year old dies from medical emergency just days before becoming firefighter. CLICK FOR ARTICLE. Gilford, New Hampshire Fire Department- is set to take delivery of Portsmouth's fireboat upon approval from Portsmouth's city council. CLICK FOR ARTICLE. Goffstown, New Hampshire Fire Department- funds have been approved to expand the Church Street fire station. Gorham, New Hampshire Fire Department- Fire Chief George "Rick" Eichler has retired after 37 years of service. Hampton, New Hampshire Fire Department- has sworn in three new firefighters. Ryan Pitts, Brian Alley, and Kourtney Auger are now the department's newest firefighters. Hooksett, New Hampshire Fire Department- has sworn in James Burkush as the new Fire Chief. Chief Burkush previously served as the Fire Chief in Manchester. Hooksett, New Hampshire Fire Department- has received a Federal grant in the amount of $13,418 for a Turnout Gear Washer / Dryer. Hopkinton, New Hampshire Fire Department- Fire Chief Doug Mumford has announced he will retire at the end of April. Hopkinton, New Hampshire Fire Department- has hired Shawn Murray as Interim Chief. Shawn formerly served as captain in Goffstown and chief in Hudson. Hopkinton, New Hampshire Fire Department- 27 year veteran Jeff Yale has been selected to be the new Fire Chief. Hudson, New Hampshire Fire Department- has received a Federal Grant in the amount of $32,710 for Fire Hose. Keene, New Hampshire Fire Department- Firefighter/Paramedic Mike "Beetle" Bailey has retired after 30 years of service, 18 of which was with Keene Fire. Lebanon, New Hampshire Fire Department- has taken delivery of a 2016 Ford Interceptor for Car 3. Londonderry, New Hampshire Fire Department- has taken delivery of a 2016 Ford Expedition for the Battalion Chief's vehicle. Londonderry, New Hampshire Fire Department- looks at fire station upgrades. CLICK FOR ARTICLE. Manchester, New Hampshire Fire Department- Fire Chief James Burkush has announced he will be retiring. Upon his retirement from Manchester, he will become the new Fire Chief in Hooksett. Manchester, New Hampshire Fire Department- the mayor has nominated Assistant Chief Daniel Goonan to succeed James Burkush as the next chief. If appointed, he will take the reigns once Chief Burkush retires later this month. Manchester, New Hampshire Fire Department- has confirmed Daniel Goonan as the new Fire Chief. Manchester, New Hampshire Fire Department- new K-9 starts at fire department. CLICK FOR ARTICLE. Meadowood, New Hampshire Fire Department- members to vote on disolving department. CLICK FOR ARTICLE. Meredith, New Hampshire Fire Department- the department's first female firefighter, Sandy Ambrose, has retired after 25 years of service. Merrimack, New Hampshire Fire Department- has received a Federal grant in the amount of $288,728 for 41 - Firefighter Breathing Apparatus and 50 – Firefighter Personal Safety Systems. Merrimack, New Hampshire Fire Department- proposed budget includes four additional firefighters. CLICK FOR ARTICLE. Milton, New Hampshire Fire Department- construction on the new fire station has begun. CLICK FOR ARTICLE. Nashua, New Hampshire Fire Department- has placed into service a 2015 F-250 for the Motor Squad Division. Nashua, New Hampshire Fire Department- Spare Engine 8, a 1996 Peirce, has been removed from service and will be traded-in on the new 2016 Pierce Arrow XT for Engine 4. Production has begun on the new pumper. Nashua, New Hampshire Fire Department- has received a Federal grant in the amount of $ 70,720 for Vehicle Rescue Tools. Nashua, NH Firefighters replace Veteran's flag after it was stolen. CLICK FOR ARTICLE. Nashua, New Hampshire Fire Department- Split Brook Fire Station to undergo renovations. CLICK FOR ARTICLE. New Hampshire Fire Training Academy- has received a Federal grant in the amount of $ 316,279 for Firefighting Equipment and Turnout Gear. New Hampshire- Rye and North Hampton to consider consolidation of fire services. CLICK FOR ARTICLE. New Hampshire State Fire Marshal – has received a Federal grant in the amount of $680,320 – To fund the “Get Alarmed in New Hampshire” Smoke and Carbon Monoxide Detector Installation Program. New London, New Hampshire Fire Department- has placed into service a 2016 Chevy Silverado as Utility 1. Newington, New Hampshire Fire Department- has purchased a 1996 Seagrave 2000/750 pumper that previously served Fairless Hills, PA. It will be utilzed as a spare engine. Newton, New Hampshire Fire Department- an article to build a new fire station did not received enough votes to be approved. Although a majority voted for the approval, the percentage needed to pass was not sufficient. 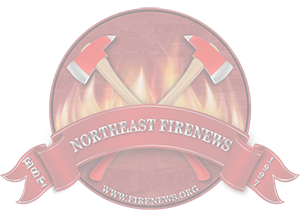 North Conway, New Hampshire Fire Department- is looking for a site to build a new fire station. CLICK FOR ARTICLE. North Hampton, New Hampshire Fire Department- has begun 24 hour paramedic service. CLICK FOR ARTICLE. Pelham, New Hampshire Fire Department- firefighters look to restore antique engine. CLICK FOR ARTICLE. Plaistow, New Hampshire- voters approved (by a narrow margin) funds to build a new public safety building. Plaistow, New Hampshire Fire Department- Deputy pleads for return of stolen gear. CLICK FOR ARTICLE. Portsmouth, New Hampshire Fire Department- Fire Chief rethinks fireboat request. CLICK FOR ARTICLE. Portsmouth, New Hampshire Fire Department- Captain Michael Hogan has retird after 28 years on the job. As a result, Lieutenant William McQuillen was promoted to captain and Firefighter Mark Herrholz was promoted to Lieutenant. Salem, New Hampshire Fire Department- former Engine 5's 1985 Mack CF has been saved from the scrap yard by a private collector. Literally hours away from being ripped apart, the workhorse was purchased with the intention of being restored. Sandown, New Hampshire Fire Department- Sandown Firefighter rides pedal bike to Florida in fundraising effort for veterans. CLICK FOR ARTICLE. Seabrook, New Hampshire Fire Department- Captain Harold "Tuggy" Hewlett III will retire on Monday November 28th after 30+ years of service. Seebrook, New Hampshire Fire Department- opens new dispatch center. CLICK FOR ARTICLE. Somersworth, New Hampshire Fire Department- Lieutenant Kenneth Vincent will retire on April 1st after 33 years of service. Southwestern New Hampshire Fire Mutual Aid District- Deputy Chief Bonnie Johnson retires on January 29th after 31 years of service. Strafford, New Hampshire Fire Department- has received a Federal grant in the amount of $116,572 for Firefighter Breathing Apparatus. Stratham, New Hampshire Fire Department- has named Assistant Chief Matt Larrabee as Acting Fire Chief. Swanzey, New Hampshire Fire Department- voters turned down a bond that would have paid for a new fire station as well as repairs and upgrades to town hall, the police station and the DPW facilities. Tilton-Northfield, New Hampshire Fire Department- Committee hears options for new fire station. CLICK FOR ARTICLE. Warner, New Hampshire Fire Department– has received a Federal grant in the amount of $138,179 for 20 – Firefighter Breathing Apparatus. Webster, New Hampshire Fire Department- has named Emmett Bean Sr. as the new Fire Chief. Westmoreland, New Hampshire Fire Department- has received a Federal Grant in the amount of $38,096 for a Cardiac Monitor. Wolfeboro, New Hampshire Fire Department- James S. Pineo of the Littleton, NH Fire Department has been selected to be the new Wolfeboro Fire Chief.